This week (Harlem, New York) mothers made their struggles known, as they demanded for Mattel, the popular Barbie making company to produce more Barbies of color. Like most mothers, Georgia Braithwaite, yearned to do nothing less than throw her daughter the best party she could. Thus, as soon as her daughter told her that she wanted a “Barbie-themed” party, she headed straight to the nearest party store. Nonetheless, as Karen Braithwaite, an eager mother, walked the isles of the store, she came to a standstill. 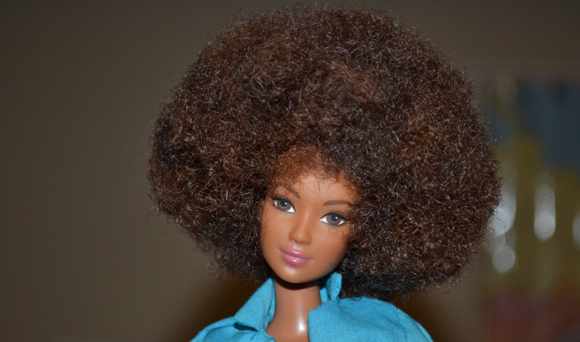 She couldn’t find any products revolving around Barbies of color. Faced with overflowing isles of blonde haired, blue eyed Barbies, Karen had no other choice but to make ends meet. She chose to do the best she could and bought the closest complexioned Barbie to her daughter—Malibu Barbie. After devoting her time to coloring in each and everyone of the Malibu Barbies faces, Karen was ready to celebrate her daughters special birthday celebration with her! We have to emphasize to our children, what makes the world beautiful is that people come in all colors, shapes, and sizes!